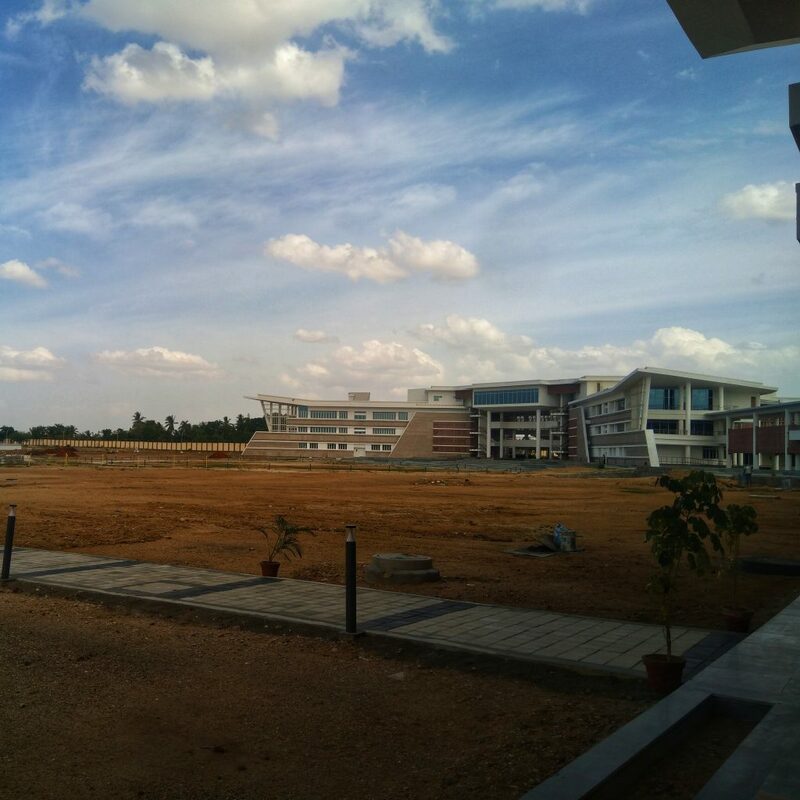 Life And Lifelines At IIM Trichy! Trichy, as a city, is known for its rich history and the culture associated with it. There is some sorcery associated with this land ruled by the great king Raja Raja Chozha. The grandeur of the great people like Sir C.V.Raman, the novel laureate is a testimony to the magic of this city. After my under graduation in Instrumentation engineering, I worked in the IT industry with Infosys for 2 years. I wrote my CAT Exam in 2017. My results and interviews were more than satisfactory. Then came a huge dilemma of selecting a B-school. I did my initial research and found that Trichy is the college who is leading the race among second-generation IIMs. Then just a glimpse at Director’s vision and photos of this State-of-the-art campus, made my mind clear to pack my bags to Trichy. Since my hometown was just a 250 km drive from IIM Trichy, it turned out to be brownie points. The growth in academics, as well as placements, are highly convincing for anyone. IIM Trichy has a structured pedagogy which orients the students on a right track. The academic rigour urges the students to step up as leaders. The Professors here are world class, who follow a more case-study based teaching rather than vague lectures. The high intense B-school life at IIM Trichy will make time management, teamwork, punctuality to be adapted into one’s life, which are ought to be skills at a point in time. It is the best place for peer to peer learning and overwhelming support from seniors. These things make IIM T, the unique. The most memorable classroom experience, though classes just started two days ago, is the first class of Financial Accounting by Prof. Mr. Gopal sir. He looked like a man with principles, a mere 10 minutes of the man’s address to the class was energetic. Being from an engineering background, there were many of us sensing bad omens in Finance. But he came inside the class, 10 minutes down, breaks all the shackles around us and made us beaming with confidence. Sharon Roy: A small, friendly Malayali guy who loves music. His musical skills with Drums and Cajon are ever energetic like him. After a brief work experience in IT, he aims to specialise in Strategy. Revathi Sarma: A friendly face with a lovely voice. Revathi is a trained Carnatic singer, who sings for us in the late-night hangouts. A Tamil Brahmin brought up in Kerala, she wants to pursue a role which orients her with her older teaching profession. Sreenath Marudayath: A slender, jovial face with an Afro hair-do. One of the humorous guys, I have met in the college. He is a good dancer with some nice footie skills. He supports Liverpool as do I. His search for meaning in life, continues in career too. Reshma Kris: A Tamilian, I got pretty attached after one of our group tasks. A person who is kind enough to sustain your mistakes and still help you in tough times. She is a fresher, who aims for a lead management role as a career. Sanjay Sudhakar: He is an introvert, who will eat your brains when you become close to him. After his B.A Literature Honor’s, he looks at a lively career in Management. Which Aditya Birla Group company would you want to work for and why? The one brand that I am always fascinated and loved of Aditya Birla group is Aditya Birla Fashion and Retail Limited. Throughout my tryst with fashion, I always find brands like Louis Philippe, Van Heusen and Allen Solly as very refreshing and vibrant fashion businesses. I will be thrilled if I get an opportunity to work behind the extraordinary fashion revenue model in India. My interest in Strategic consulting and Marketing strategies will help me to prosper in this area. If at all given a chance, I will cherish this opportunity and give my full potential for the position.